In 1963, the Guild purchased a historic adobe at the Oasis of Mara (built in 1936 by the Stubbs Brothers as a home for western pulp fiction author Tom Hopkins). 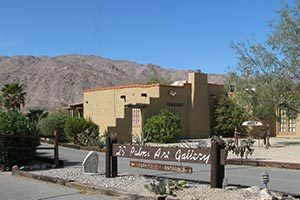 The adobe has served as the Guild’s permanent art gallery and gift shop for 55+ years. 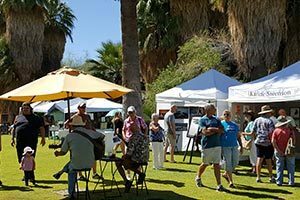 Monthly art shows feature desert art from September through June, with a Summer Show by Artists’ Guild members. Art receptions are held on the first Saturday of the month, 5 to 7 p.m. Art classes are offered for all ages throughout the year. The gallery also hosts seasonal events like the annual Pioneer Days Chili Dinner and a Holiday Art & Craft Fair, creative fund-raisers, art auctions, Monday morning Paint-Outs. A gift shop on the premises helps to fund the gallery. Open 11 a.m. to 3 p.m. Thursday through Sunday. Explore your creative side and see the artistic underground that exists here in the desert. 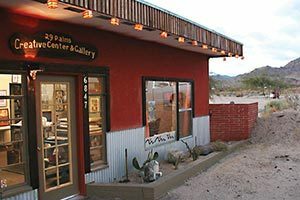 The 29 Palms Creative Center & Gallery welcomes visitors! Browse the art gallery. Book an Art Party with your friends. Schedule an art event for kids or adults. Artist/owner Gretchen Grunt and Selina Phanara offer art activities for the local or traveling art adventurer. The Creative Center welcomes walk-ins to paint pottery and create a canvas painting in the inspiring OPEN studio. Choose from a wide selection of ready-to-paint pottery: cups, plates, tiles & tons of figurines, starting at $15 (plus tax); plus instant canvas painting, starting at $20 (plus tax). 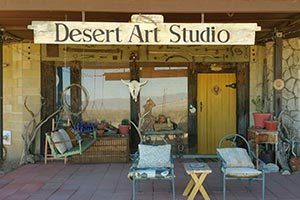 Ongoing Art Show on weekends at Desert Art Studio features desert oils on canvas and giclee prints of Mojave Desert landscapes and desert critters by longtime artist Chuck Caplinger, who also specializes in Southwest murals and portraits. The artist is available for commissions and for private instruction, too. Open by appointment and for occasional art show weekends. Presented by Joshua Tree National Park Council for the Arts. www.jtnparts.org. The Hwy 62 Open Studio Art Tours, now in its 17th year, is a one-of-a-kind experience for art lovers and art buyers/collectors to create a customized self-guided tour of the art studios in the Joshua Tree Gateway Communities and to speak directly with the artists about their work and creative endeavors in the intimacy of their private work spaces. 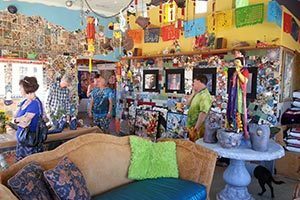 Purchase art directly from more than 150 desert artists, tour their habitats and art studios, visit local gallery exhibitions, and enjoy a variety of ancillary cultural events. Full-color catalogs and art maps available at local galleries and chambers of commerce and on their website. It’s a great treasure hunt! Presented by Morongo Basin Cultural Arts Council www.hwy62arttours.org. The 27th annual “Art in the Park” event, founded in 1992, will be held the first full weekend in April, from 9 a.m. to 5 p.m. on Friday, Saturday, and Sunday. Admission is free. 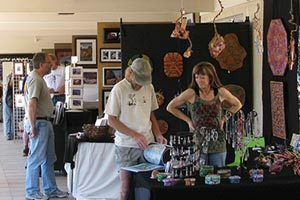 Artist booths are staged on the patio at the park’s Oasis Visitor Center, 74485 National Park Drive in Twentynine Palms. 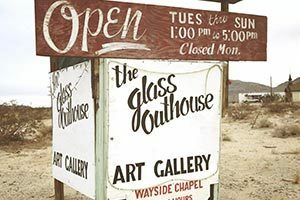 Approximately 25 artists display and sell artwork showing their interpretation of Joshua Tree National Park and the California desert in painting, photography, mixed media, ceramics, sculpture, textiles, gourd art, beading and jewelry. Admission free. Presented by Joshua Tree National Park Association (760) 367-5525.